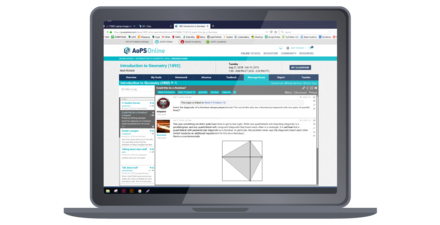 AoPS Online offers educational resources for motivated students in grades 5–12. With our books, classes and other online resources, students develop the skills they need to become successful, creative problem solvers. 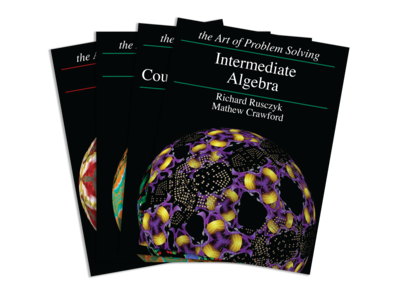 Textbooks for grades 2–12 go far beyond the basics, challenging students to solve unique and interesting problems. Books are suitable as stand-alone curriculum or as supplemental math enrichment. Online courses taught by some of the world’s most accomplished math teachers. Our alumni include winners of every major math competition, from MATHCOUNTS to the USA Math Olympiad and beyond. Learn from expert instructors in an interactive, online classroom setting, with both group and individual attention. 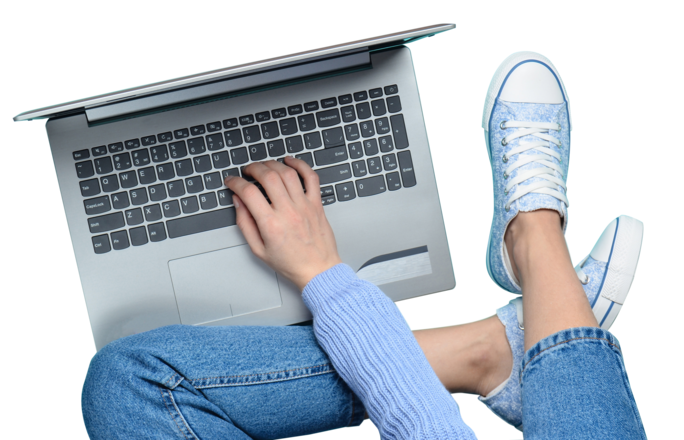 Interactive online classes for grades 5–12. Order textbooks to develop problem-solving strategies needed for success in top math contests, elite universities and competitive careers. 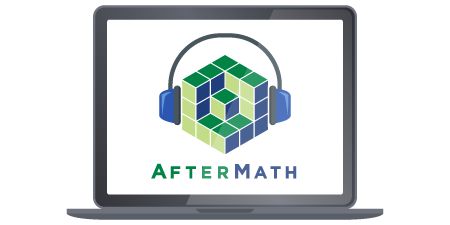 Check out the new AoPS Podcast to hear STEM leaders talk about their work, their fascinating careers, and how math brought them to where they are now. Check out the new AoPS Podcast. The AoPS curriculum stretches students to their full potential, while our online school connects eager students with inspiring peers and accomplished instructors. We give many of these students their first taste of a world beyond traditional math. A world filled with challenging, intriguing problems that require creativity and persistence to solve. A world where they have access to impressive mentors and role models. And most importantly, a world filled with inspiring peers who share their love of learning—peers that they often first met in AoPS classes and the AoPS online community. 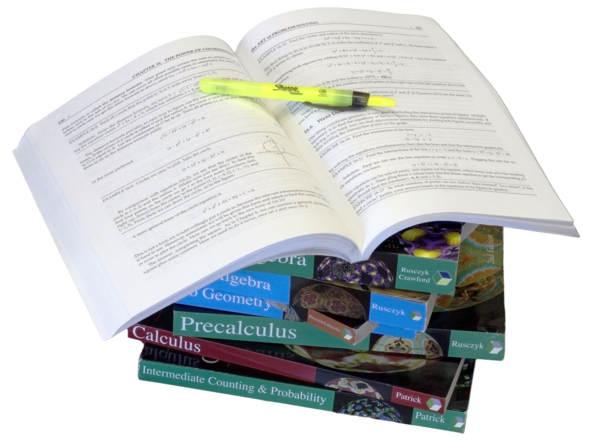 Complete curriculum covering Prealgebra through Geometry in depth. Suitable for grades 5–10. 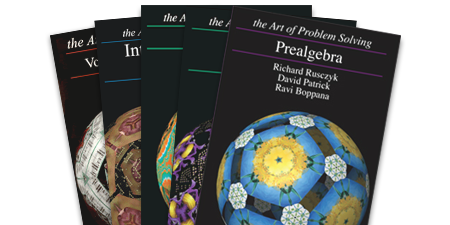 Challenging textbooks that prepare students for advanced mathematical subjects in high school, college, and beyond. 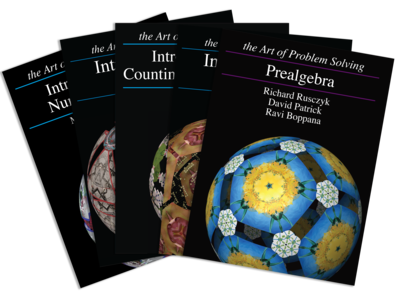 Problem-solving guides that math competition winners have relied on for more than 25 years, written by people who have won medals in national math contests, including MATHCOUNTS, the AMC, the AIME, and the USAMO. Alcumus is our free adaptive online learning system. It offers students a customized learning experience, adjusting to student performance to deliver appropriate problems and lessons. Alcumus is aligned to our Introductory online courses and to our Introduction series of textbooks. 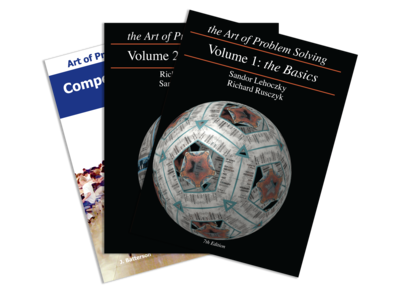 Our video library offers hundreds of videos featuring AoPS founder Richard Rusczyk. Many of the videos are aligned to our Prealgebra, Introduction to Algebra, and Introduction to Counting & Probability books and classes. Compete with middle school students from around the world with For the Win! (FTW), inspired by the MATHCOUNTS Countdown Round. Our experience over the last five months with AoPS's Prealgebra course has been transformational! Our kids used to dread math—but now they're discussing math together while we’re hiking, having dinner, or visiting with family. Wow! AoPS courses are a wonderful balance of challenge and guidance, constantly stretching students and inviting them to wrestle with problems at their own pace until they reach epiphanies. Bravo! I wish AoPS had been around when I was in high school. My son is eating your classes up. He is pumped for each Wednesday and has to really work to solve the problems. He's always loved math, but cannot get enough of it now. Way to provide the best educational product this Dad has found anywhere! I'm impressed at how much my son loved Precalculus. Sometimes he spent two days on his written proofs! I love that students weren't treated with kid gloves but instead afforded respect as burgeoning mathematicians. Now he's looking forward to Calculus. My daughter was already very good at math before she took Prealgebra through AoPS. Since then, she's become an even stronger and more confident problem solver while progressing through the curriculum. We were incredibly lucky to have three passionate instructors in ChemWOOT who were able to capture the beauty and diversity of chemistry. This class was like a reaction chamber of some of the most motivated chemistry students in the country. The experience was really powerful. I've definitely developed a lot more confidence in math since taking AoPS Introduction to Geometry. In the process of doing harder problems than I ever knew I could, I've also begun to see geometry as an art. I'm enjoying math more and more! Great course! I'm a senior in high school and I decided to take Intermediate Counting & Probability because I'd never been exposed to problem-solving math before, let alone discrete math. Now, I feel ready to take the 400-level combinatorics sequence at college in a few months, and my problem-solving skills have improved a lot. Where I live, calculus is not offered in high school, so I've really treasured my AoPS Calculus class and everything I've learned. Thank you again for this incredible opportunity! My instructor was great. I really enjoyed having a woman instructor as a role model and just an all-around-great mathematician! She was always willing to offer advice and knew just how many hints to give to keep problems doable but still satisfying. Every class I've taken with AoPS has been fantastic. Everyone does a great job helping students succeed while enjoying the process of learning math. I love that the students themselves are always open to helping each other out. The combination of videos, textbooks, on-line problems and book problems has been fantastic for our boys. I love that they can do this at their own pace, and how motivated they feel now they're be in charge of their own learning. Announcing the new AoPS Academy in Santa Clara/Cupertino! We’re proud to announce our newest AoPS Academy location in the Santa Clara/Cupertino region of the Bay Area. The post Announcing the new AoPS Academy in Santa Clara/Cupertino! appeared first on AoPS News.